While you'll probably cook under pressure most of the time with your Instant Pot, there are some other modes that your Instant Pot can do that don't require pressure. Specifically, that would be the Sauté and Slow Cook programs, and this is when a glass lid may come in handy, rather than using the cumbersome and heavy pressure cooking lid. You can only use a glass lid on your Instant Pot under these conditions: Sauté, Slow Cook, or when you are serving and don't want to deal with the heavy pressure cooking lid. The Sauté function lets users do anything they can do on a stovetop, except it's in the Instant Pot. This means browning meats, or even simmering and steaming food. When you simmer or steam (recommend using a steamer basket on a metal rack/trivet for steaming), just put the glass lid on top and let it work its magic. The small hole at the top of the lid should provide enough ventilation so it's not too much. When it's done, just lift the lid up with the handle, but don't get caught up in that hot steam! If you use the Slow Cooker function, you must set it to the More setting, which is the equivalent of "High" on a traditional slow cooker. Once it gets going, just set the glass lid on top of the Instant Pot and walk away. Again, the small hole at the top provides enough ventilation without letting too much steam out. Lift up with the handle when it's done cooking. A glass lid is also great when you need to serve. Just remove the pressure cooking lid and place the glass lid on top. This makes it easier to see how much food is left in the pot as well, because it's hard to not get a second round! Finally, if you don't feel like transferring leftovers into storage containers, you could just take the inner pot and store it in your refrigerator. Just use the glass lid to cover it. While we used the official Instant Pot Tempered Glass Lid for this guide, it's not mandatory. You can actually use any glass lid that you may already have in the kitchen. The only requirements to use it with the Instant Pot is having the right size, a handle, and perhaps a venting hole. Here's what you need to accomplish this! 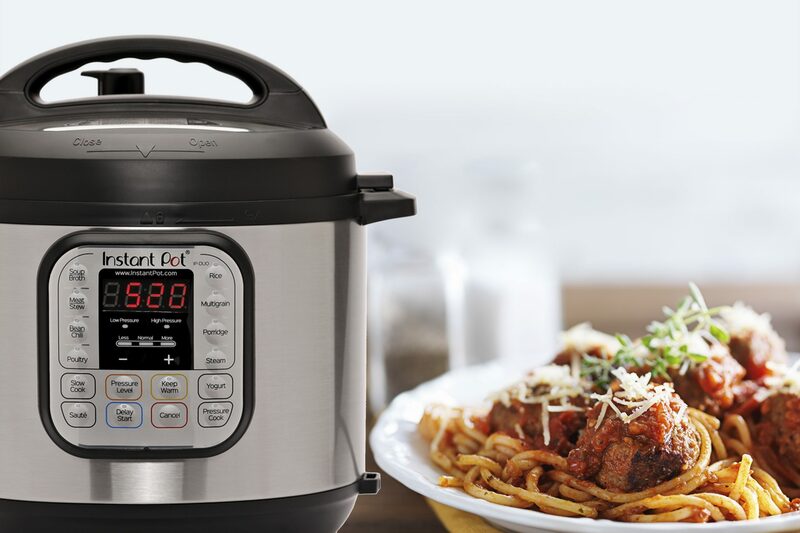 The Instant Pot DUO60 is the Instant Pot that pretty much everyone has, for the most part. It's big enough to feed up to four with plenty of leftovers. It also reduces unnecessary kitchen appliances thanks to multiple purposes, and you can rest easy while cooking. 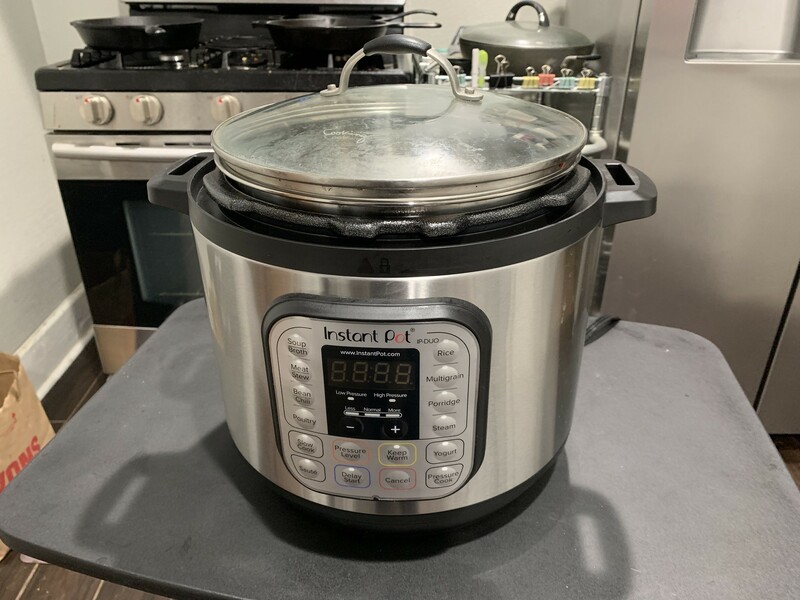 The Instant Pot DUO60 is our top pick for Instant Pot models because it has all of the features that anyone really needs. Plus, it comes in multiple sizes (3, 6, and 8-quart), though the 6-quart is the most popular one and is big enough for families of up to four with leftovers remaining. Just dump in your ingredients, set it, and forget about it! The Genuine Instant Pot Tempered Glass Lid is made from tempered glass and is highly durable. 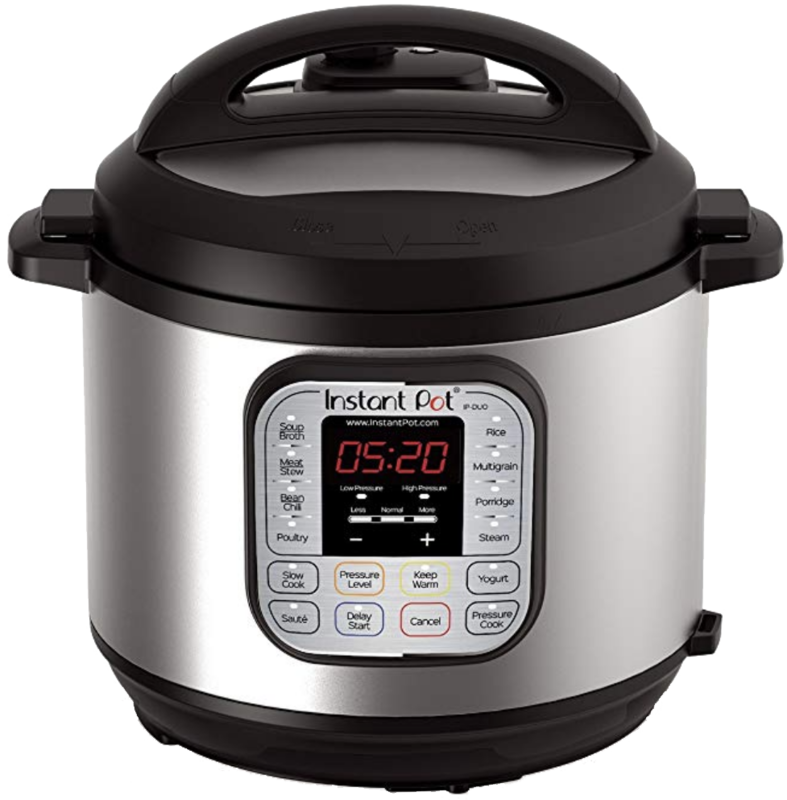 It's completely see-through so you can see the contents of your Instant Pot easily, and it has a handle as well as a small venting hole. You won't be using a glass lid too much when it comes to cooking in the Instant Pot, but for those times you want to use sauté to simmer or steam, or even go with the slow cooker setting, you'll definitely want a glass lid. The official one fits your Instant Pot perfectly, and also has a handle to safely remove the lid or place it on the pot. A small venting hole makes sure to let the food breathe a bit.